Plant dyed keepsakes for the sentimental — everAFTER magazine everAFTER magazine celebrates and inspires a couple’s journey from their engagement through to their wedding day and beyond including lifestyle and travel. Wedding venues, bridal, fashion and styling inspiration. everAFTER magazine celebrates and inspires a couple’s journey from their engagement through to their wedding day and beyond including lifestyle and travel. Wedding venues, bridal, fashion and styling inspiration. 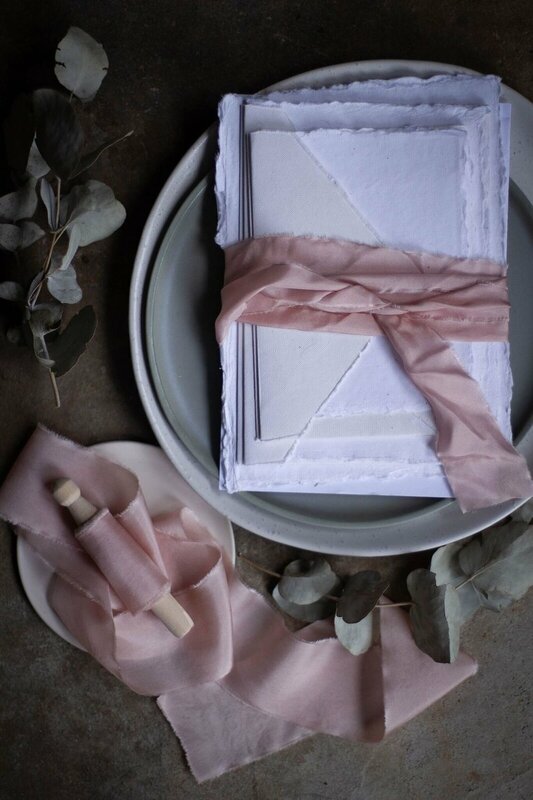 Hand dyed with botanical ingredients that are infused with symbolic meaning, the new collection of silk ribbons by The Paper Botanist adds that extra special finishing touch to your wedding bouquet or invitation suite. Made with the sentimental bride in mind, many of the botanicals used in the dyeing process are rich in traditional meanings that date back to the Victorian Era. Rosemary represents remembrance and good luck; sunflowers denote adoration and loyalty; and willow is known as the tree of dreaming and enchantment. Our all time favourite? The hibiscus flower that is used to dye Egyptian Rose, symbolising delicate beauty or the "perfect bride". 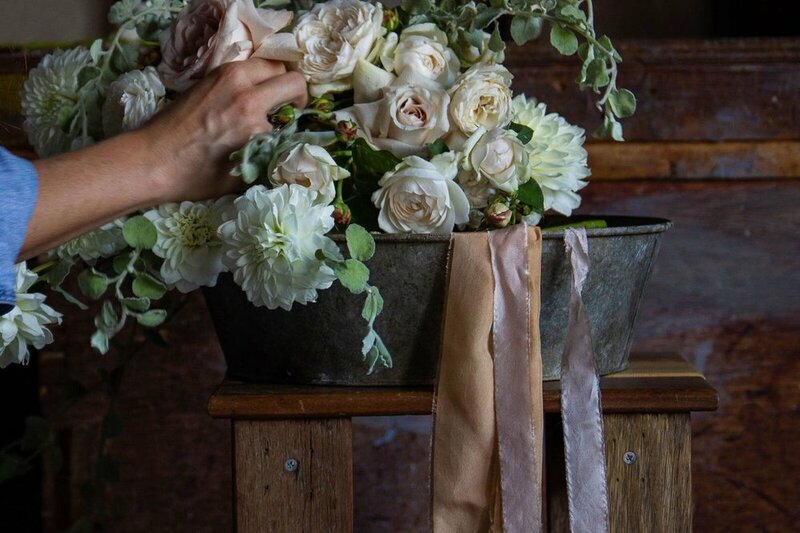 Their natural affinity with flowers extends beyond symbolism, with the organic properties of plant dyes harmoniously blending with wedding blooms. “Botanical dyes are often referred to as living colours”, says founder and plant dyer, Kate Witter. “Unlike synthetic colours, natural dyes adapt their colour to different lighting environments, shifting their tone to complement your bouquet”. Combined with the soft drape and lustrous sheen of Habotai silk, the resulting shades are warm, earthy and luminescent. 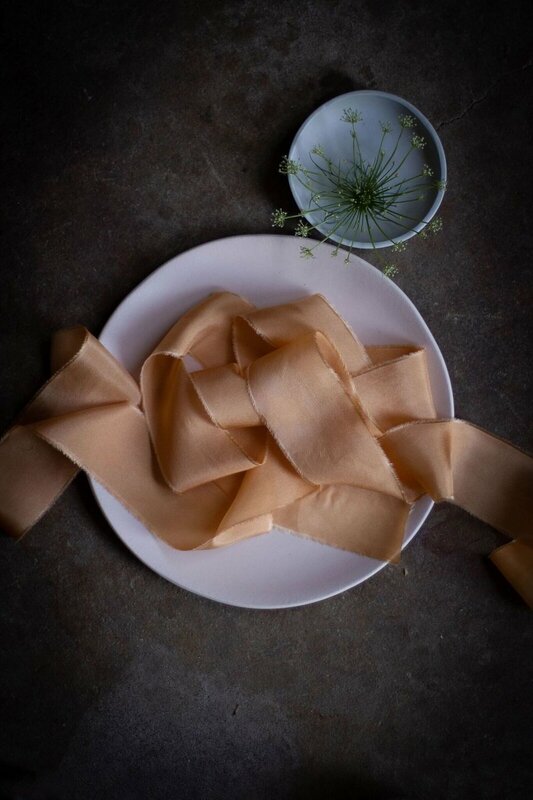 Available in 2 widths, each seamless length of silk is lovingly hand dyed with ingredients that are either foraged from fallen plant matter, found in the kitchen, or purchased from herbalists and specialist dye suppliers. They are then torn into 3 metre lengths, gently frayed, pressed and rolled — entirely by hand. The debut silk ribbon collection is now available for purchase online at thepaperbotanist.com.